Rolling Stone Magazine has been a sensational and dependable magazine for many years and features all of the latest music stars. Miranda Lambert for example, is a beautiful and talented country artist posted right on the face of the Rolling Stone! So, who wouldn't want Miranda on the dorm room wall? 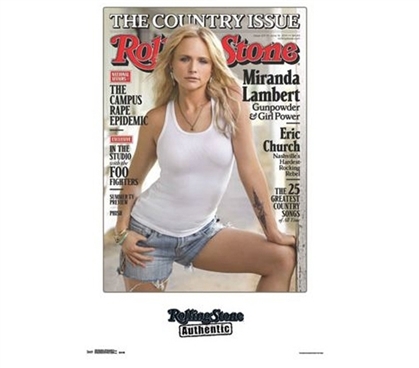 Be sure that when you're doing your dorm room shopping to get the Rolling Stone - Miranda Lambert Poster as a great addition to your dorm room accessories! You can't go wrong with a some great college wall art!